Who Are Asia’s Top Investors in TMT? Who’s leading the pack when it comes to investment in the telecommunications, media and technology space in Asia? TMT Finance has analysed a whole year of investment in this space to compile our definitive list of the top 10 investors in Asian TMT. Our top 10 players in the investment space include TMT investment leaders from I Squared Capital, Sequoia Capital, Brookfield Asset Management, Blackstone, CVC Partners, Carlyle Group, TPG Capital, Permira, KKR and Hillhouse Capital Management. 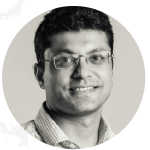 Gautam Bhandari is a Founding Partner of I Squared Capital, an independent multi-billion-dollar global infrastructure investment company with over 104 professionals based in Hong Kong, New Delhi and Singapore, as well as the US and Europe. I Squared Capital’s TMT deals in Asia have included acquisition of HGC Global Communications from Hutchison Telecommunications Hong Kong Holdings for HK$14.5bn (US$1.86bn) in 2017; and the private equity firm is also involved in investment projects in pay TV, subsea cable and datacentre areas. 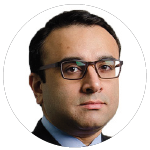 Bhandari previously spent 11 years at Morgan Stanley in New York and Asia. He was Managing Director and the Head of Morgan Stanley Infrastructure fund in Asia from 2008. Bhandari also worked at semiconductor chip technology company Advanced Technology Materials Inc.
Piyush Gupta was appointed as Manager Director – Strategic Development of Silicon Valley-based Sequoia Capital’s SE Asia and India venture capital business in mid 2017, following 12 years at Deutsche Bank where he was Head of TMT for South East Asia and India. Sequoia’s TMT deals in Asia have included investment in Indonesian ride-hailing unicorn Go-Jek in 2015; investment in Indonesian online marketplace unicorn Tokopedia in 2014; investment in Chan Zuckerberg Initiative-backed Indian educational technology startup Byju’s in 2015; investment in India’s largest hospitality company OYO Rooms in 2014; as well as investment in Asia’s leading sports media property One Championship in 2017. Sequoia manages US$3.2 billion with a portfolio of more than 100 companies in SE Asia and India. Gupta, who is based out of the company’s Singapore office, is an MBA from IIM Ahmedabad, and worked with JM Morgan Stanley prior to joining Deutsche Bank. Stewart Upson is Managing Partner in alternative asset manager Brookfield Asset Management’s Infrastructure Group and CEO of Asia Pacific, with responsibility for overseeing the Firm’s business activities across the region. Brookfield’s TMT deals in Asia have included its conditional US$1.6bn acquisition of 40,000 telecom towers from Indian telco Reliance Communication (RCom), however, the deal was called off as RCom’s merger with Aircel was cancelled. Brookfield was also involved in acquisition of telecom towers in South Asia markets, investments in datacentres in Southeast Asia and Australia. Upson joined Brookfield in 2010 from Prime Infrastructure, where he held a number of roles, including General Manager Business Development and Group Treasurer. He previously served as Treasurer at Powerco, a New Zealand-based utility, and worked in the corporate finance division of Deloitte, Auckland. Ed Huang is Head of Private Equity for Greater China and Korea for private equity investor Blackstone, which he joined in 2012. Blackstone’s TMT deals in Asia have included acquisition of Chinese leading IT outsourcing and consulting service provider Pactera Technology International for US$625m in 2014, which the private equity firm sold to HNA Group in 2016 for US$1bn. The private equity firm also acquired a majority stake in Thomson Reuters’ Financial & Risk (F&R) unit in 2018 for US$17bn. The F&R unit has presence in Asia, US and EMEA. Before joining Blackstone, Mr. Huang was previously a Managing Director for China investments in Morgan Stanley Private Equity Asia, and also worked in investment banking for Morgan Stanley and Merrill Lynch in New York and Hong Kong. Mr. Huang received a B.A. from Yale University and an M.B.A. from Harvard Business School. 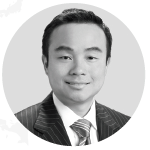 Sigit Prasetya, joined CVC in 2007, and is based in Singapore leading private equity activities in Asia. CVC Capital Partners manages over US$24 billion in funds globally focused on management buyouts. solutions provider ARTERIA Networks Corporation for US$150m in 2014. 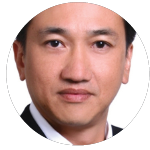 Prior to joining CVC, Prasetya worked for Henderson Equity Partners as head of Southeast Asia. Prior to that, Mr. Prasetya worked as a management consultant at Booz Allen Hamilton. Sigit holds an MBA from University of New South Wales, Australia. 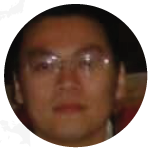 Long Hoang is a Director in the Asia Buyout Group of the Carlyle Group based in Singapore. Carlyle has invested more than $15 billion in Asia since it established a presence there in 1998. Carlyle’s TMT deals in Asia have included acquisition of Asia Satellite Telecom Holdings in 2015; leading a US$3.8bn buyout of Chinese advertising network Focus Media in 2013; making investment in 2014 in Tencent-backed online literature provider China Literature, which raised US$1.1bn in 2017 IPO; investments in Chinese online classification giants 58.com and Ganji.com and the private equity firm existed from the investment following the merger of the two tech firms. Prior to joining Carlyle, Mr. Hoang worked at TPG Global, Navis Capital Partners and Standard Chartered Private Equity, where he was involved in a number of transactions in Indonesia, Singapore, Thailand, Myanmar and Vietnam.Mr. Hoang received an MBA from Columbia Business School and a BA from Amherst College. Isabella Luan joined Hillhouse Capital Group in 2018 as a managing director in its Hong Kong office. Hillhouse has a focus on investments in Asia, having worked with companies such as: Airbnb, Alibaba, Didi, JD, Tencent, Traveloka and Uber. Hillhouse Capital’s TMT deals in Asia have included US$400m investment in China Tower Corp during the China Tower’s IPO in 2018; investment in Xiaomi’s US$4.7bn IPO 2018. The private equity firm’s iconic TMT deals in Asia also included its investments in Baidu, Tencent, JD.com, Didi Chuxing, Meituan, Grab, NIO and Traveloka. 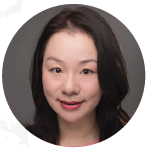 Luan joined Hillhouse Capital after over 10 years in Hong Kong with Credit Suisse, where she was most recently Managing Director, Head of TMT for Greater China. Prior to that she was Director, Head of Capital Markets Solutions Group Technology for the bank. She started her career with UBS. Dominic Picone is a Partner with TPG Capital Asia based in Singapore, where he works on TPG’s private equity investments in Southeast Asia. TPG has more than $94 billion under management with teams in 16 offices around the world. TPG’s TMT deals in Asia have included acquisition of Myanmar towerco Pan Asia Majestic Eagle Limited (PAMEL) in 2018 for c. US$400m; leading US$100m investment on Indian online ticket platform BookMyShow in 2018; joint acquisition with MBK Partners of Wharf T&T (WTT) for HK$9.5bn (US$1.22bn) – the two parties sold WTT to HKBN in 2018; investment in Chinese bike sharing unicorn Mobike; joining US$130m investment in Singapore-based real estate portal PropertyGuru in 2015. 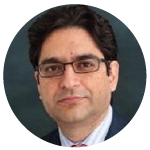 Picone joined TPG in 2005 from the Credit Suisse investment banking team in Melbourne, Australia. He sits on the Boards of several TPG-backed companies including PropertyGuru. He holds degrees in commerce (Honors) and law from the University of Melbourne. Robin Bell-Jones is a Partner in Permira’s Technology sector coverage, based in Hong Kong. He joined Permira in 1999 and has led the Asia Technology team from 2012. Permira’s TMT deals in Asia have included acquisition of Hong Kong-based Asia Broadcast Satellite in 2010 for E184m. Bell-Jones has worked on a number of transactions including All3Media, Alter Domus, Debitel, Premiere, ProSiebenSat.1 and Tricor. Bell-Jones has spent several years in the firm’s Frankfurt office. 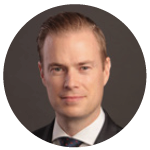 As well as leading the Asia Technology team, he also covers the Asia financial services sector. 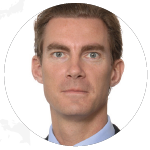 Prior to Permira, Bell-Jones worked in M&A at CSFB and BZW in London and San Francisco, focusing on Technology, and has an MBA from INSEAD, France. Ashish Shastry joined KKR’s Singapore’s office in 2016 as a Member and Head of Southeast Asia. Globally, KKR has US$191.3bn assets under management as of June 30, 2018. KKR’s TMT deals in Asia have included US$145m investment in Singapore-based real estate portal PropertyGuru in October 2018; US$175m co-investment with Tencent in PLDT’s digital tech unit Voyager Innovations in 2018; joint acquisition with CPPIB of 10.3% stake in telecom tower operator Bharti Infratel for US$952m in 2017; investment in Indonesian ride-hailing unicorn Go-Jek; the private equity firm is also in the process of acquiring Australian software provider MYOB Group for A$1.8bn (US$1.3bn). Prior to KKR, Shastry spent five years as Managing Partner of Northstar Group with a focus on Southeast Asia, before which he was also Partner and Head of Southeast Asia of TPG Capital. He started his career with Lehman Brothers in New York and graduated from Princeton University with an A.B. degree in economics. 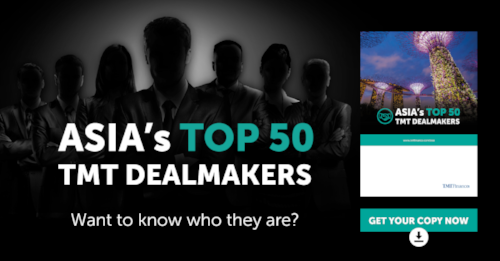 For more information on the deals they’ve made and their careers so far, download our free e-book, Asia's Top 50 TMT Dealmakers. The e-book will reveal more detail on these leading TMT investors, but also top 10 lists of TMT financing bankers, TMT dealmakers, TMT legal advisers and TMT deal leaders.